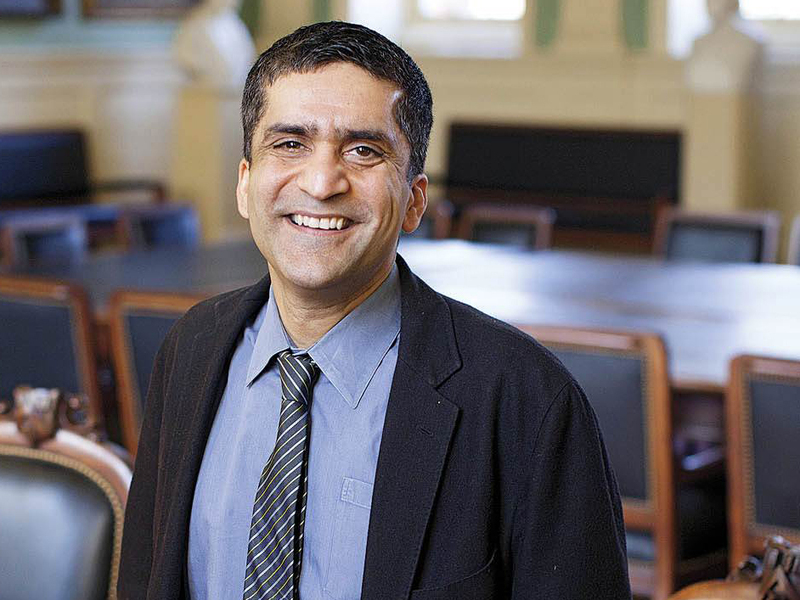 Rakesh Khurana, Bower professor of leadership development at Harvard Business School  and professor of sociology in the Faculty of Arts and Sciences (FAS), will become dean of Harvard College on July 1. He and his wife, Stephanie Ralston Khurana, have served as master and co-master of Cabot House  since mid 2010, and will retain those posts when Khurana assumes his new duties in University Hall. FAS dean Michael D. Smith announced the appointment on January 22. It follows a formal search, and concludes a somewhat difficult decanal transition from Evelynn M. Hammonds, who departed at the end of the 2012-2013 academic year, to Donald Pfister, who serves as interim dean this year.